Some books don't lend themselves easily to film adaptation, and it seems that those books are the ones most likely to pique David Cronenberg's interest. In the past, the director has brought novels such as Naked Lunch and Crash to the screen and successfully made them his own, but Don DeLillo's Cosmopolis presents a set of particularly knotty filmmaking challenges. Set almost entirely within the confines of a stretch limousine, the film consists of a series of arch, epigrammatic conversations that mostly revolve around money and vaguely touch on a multitude of philosophical concerns, with its protagonist being a 28 year-old billionaire bored in his obscene wealth and cut off from the world. How do you make this story cinematic? Engaging? Relatable? If you're David Cronenberg, you do it by staying incredibly faithful to the source material. The result is a film that has a tone and rhythm unlike any other, and it takes a while to get on the movie's wavelength. The actors deliver their often-cryptic dialogue in a strangely stilted, affectless manner, and in this respect the casting of Robert Pattinson was a masterstroke by Cronenberg. The actor who shot to fame by playing a vampire here plays Eric Packer as a man who seems just as bloodless. As he sits in the back of his limo and is informed of the money that his company is haemorrhaging, he displays no concern and barely any interest. What do you get the man who has everything? All Eric wants is a haircut, which is why this opulently designed vehicle is crawling across a Manhattan that has been locked down for the President's visit and the funeral of a rapper. The last time Cronenberg made a film that involved automobiles so heavily it was Crash, in which the characters got their kicks from high-speed collisions. Here, the car proceeds at a crawl though the gridlocked traffic, which allows us ample time to observe the world through Eric's windows, and it's not a pretty sight. DeLillo wrote Cosmopolis after 9/11 but his view of a world falling apart has a different context to the one in Cronenberg's film. The anarchic protests that occur throughout the film, including dead rats being hurled (the idea of rats becoming a unit of currency is mentioned a number of times), speaks to our own troubled times, with the idea of a member of the rarefied 1% isolated from these scenes in his hermetically sealed, cork-lined limo working as a potent metaphor. The deeper Eric gets into this environment, the further removed he becomes from his ivory tower and space station-like car, the more human he starts to appear, and Pattinson is excellent in the way he modulates this gradual changes in his character. Not everyone will want to go along with him for the ride, of course. Cosmopolis is so distant and clinical in its construction, so episodic in its narrative thrust, it will surely alienate many viewers, but there are ample pleasures here if you care to look for them. 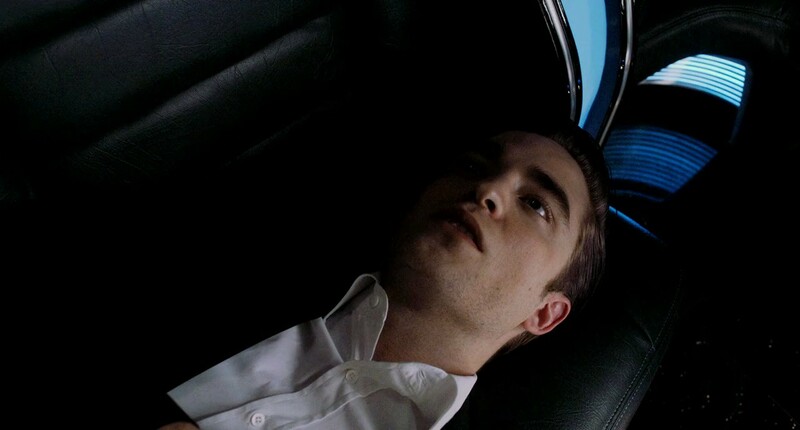 First of all, Cosmopolis is an impeccable work of direction, with Cronenberg and his excellent cinematographer Peter Suschitzky making the series of claustrophobic conversations inside the limousine absolutely mesmerising. The director's last two films have been two of the most verbose he has ever made, but Cosmopolis succeeds in all the ways A Dangerous Method failed; I found myself hanging on every word of the frequently impenetrable dialogue, riveted by the tension that the film creates between two people. It helps, of course, that he is a magnificent director of actors, and the performances that he draws from this large and imaginatively chosen cast couldn't be better. Sarah Gadon is a notable standout as Packer's wife (in an as yet unconsummated marriage), while Paul Giamatti brings a vital sense of ramshackle energy to the film's climactic scenes as a disgruntled member of Packer's workforce. When Eric Packer asks a member of his security detail to stun him with a taser, or when he considers firing a gun through the palm of his own hand, it's an impulse borne from his desperate desire to feel something, anything; but what will viewers of Cosmopolis feel? The film may be a tough one to connect with on an emotional level, but its swirl of ideas and gleaming imagery make it one of the most intellectually and cinematically stimulating pictures of the year. It may even come to be regarded as a vital comment on the world we're living in, a world where "money talks to itself" and where the haves face increasing anger from the have-nots, who have taken to the streets to express their dissatisfaction with the state of things. Cosmopolis is full of people having bewildering conversations and failing to connect in any recognisably human way, but from this 'unfilmable' novel, David Cronenberg has fashioned an extraordinary film that overcomes its artificiality to become all too real. I was disappointed to find no commentary from David Cronenberg on the disc because he's one of the best movie talkers in the business. 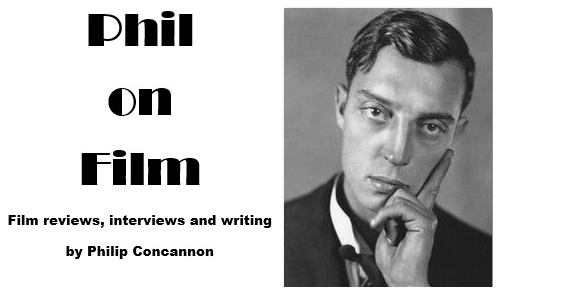 Instead, we have half an hour of interview soundbites, but you can skip them and go straight to Citizens of Cosmopolis, a behind-the-scenes documentary that is just as long as the film itself. Exploring every aspect of the production, this feature offers some fascinating insights into how the film was made and allows us to watch this master filmmaker at work on set. Even if the film wasn't excellent, I'd recommend checking out the Cosmopolis DVD and blu-ray just for this documentary, which is one of the best extra features I've seen on a disc in years.